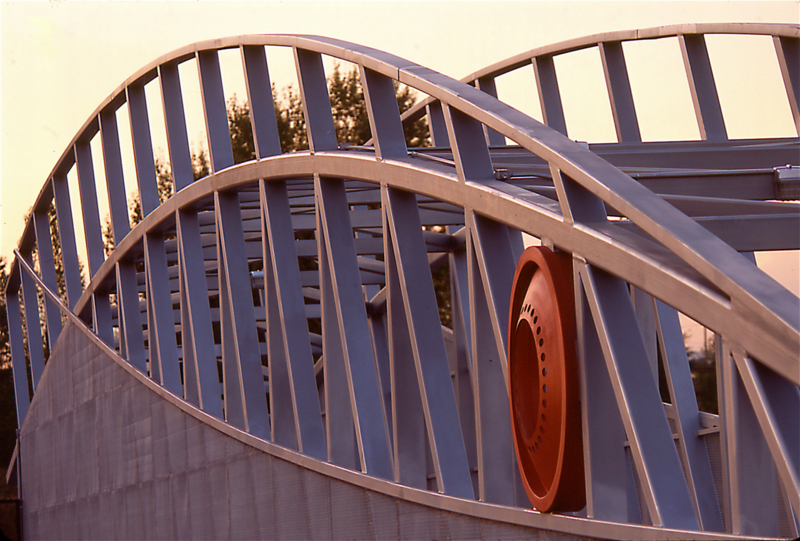 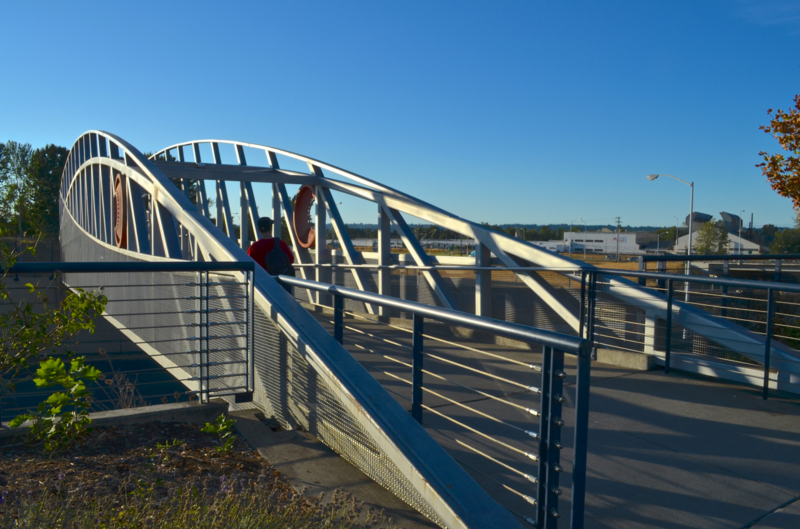 Designed by Portland, Oregon artist Ed Carpenter, “Fishbird” is one in his series of fanciful pedestrian bridges. 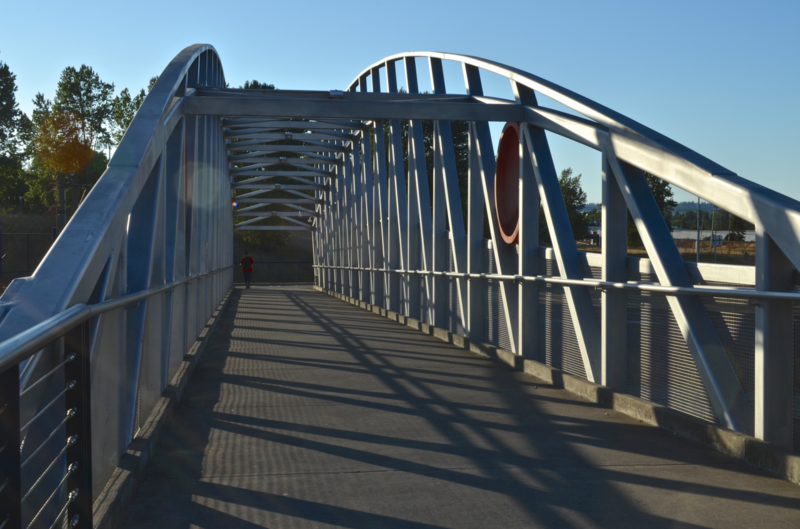 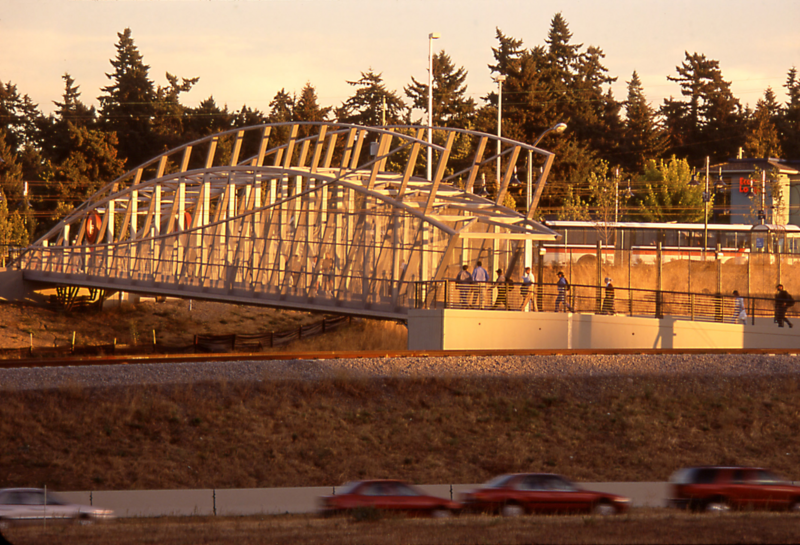 It provides pedestrian access to a light rail station located in the median of I-205 freeway close to the border of Oregon and Washington. 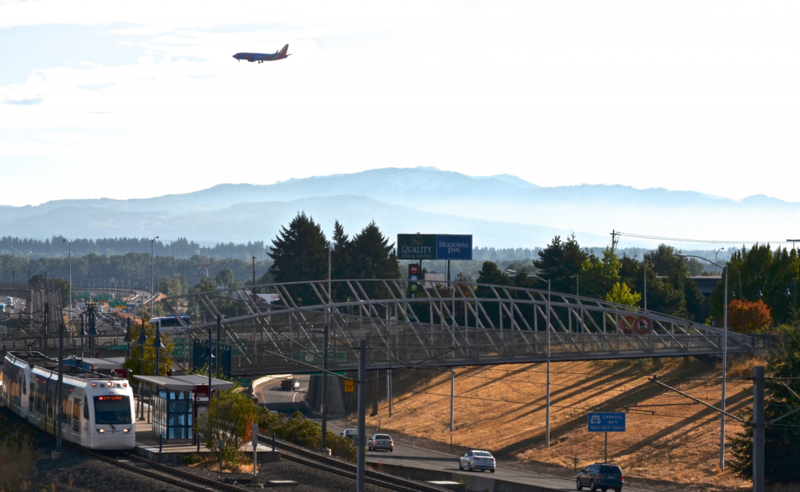 It is also near the Columbia River and the Portland International Airport, hence the imagery suggesting a creature which might swim or fly. 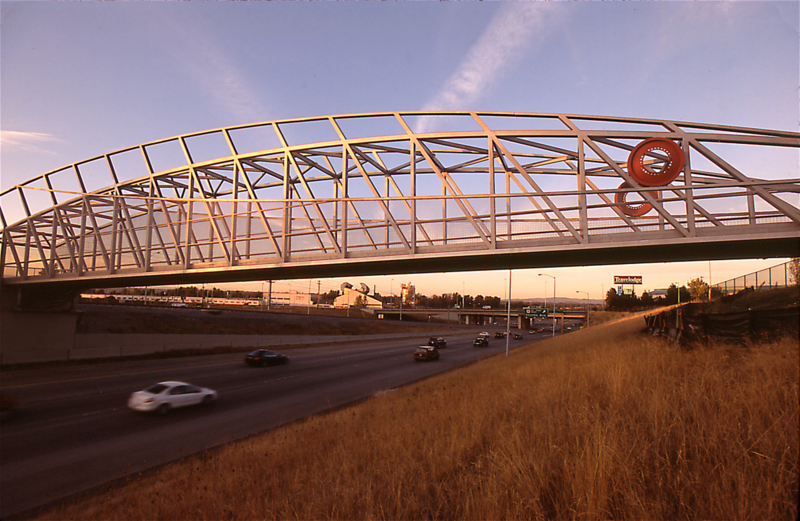 Tight budget constraints required a simple, low-tech solution, leading the design to a traditional arch truss structural concept. 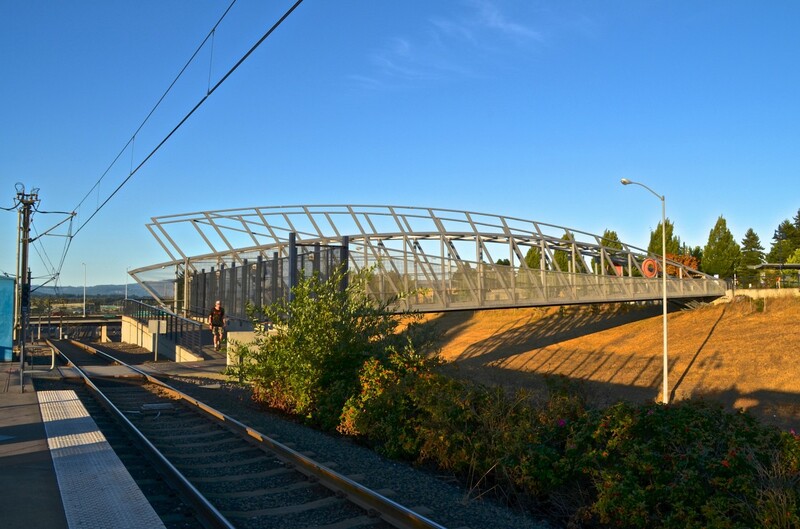 Passengers on the light rail trains moving to and from the airport and motorists on I-205 are treated to dramatic views of the huge enigmatic creature flying over the freeway, while pedestrians crossing over the bridge delight at walking through it.